ANIMAL RELOCATION TO MALTA: HOW IS THIS DONE? You’re setting off for the Island of Malta. 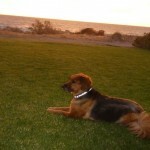 It’s just not possible to leave for this magnificent Mediterranean island without your pet. To ensure your trip and arrival go seamlessly, you need to adhere to the regulations. 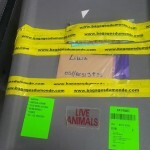 We are well aware of the global regulations for transporting live animals to Malta. By choosing the PREMIUM package, we can take care of all, or some of these steps for you. The minimum time period between the start of formalities to be carried out and your pet’s trip is at least six months. You will need to wait for six months after the blood test before your pet may travel. Once you have the serum titration in hand, you will be able to apply for the import permit from the Maltese authorities. The import permit has just arrived, now you just need to request an “International Certificate of Good Health” from your vet (as a separate document to the passport), within seven days prior to departure, and have it certified and stamped by the Departmental Directorate for Public Protection (the “DDPP“) in your region. Once you’ve completed the process with the DDPP, you can rest reassured that your pet will finally be ready for their trip to Malta! For them, this will mean a Mediterranean climate, where they can casually stroll around the streets of Valletta or the Golden Bay beaches. We are able to assist you with these procedures, so contact us.